Mitsubishi Motors has announce new 191 special offers across their range of SUV models. This includes their newly launched Outlander PHEV has just arrived for 191 and is now available in three trimlines, ‘Intense’, ‘Instyle’ and the ’S-Edition’. Prices start from €39,900 (after Government grants ) which it says reflects a 20 percent price reduction on the previous model. The new Outlander PHEV has a pure claimed EV driving range of 45km and a combined range of 600km and with a confirmed WLTP rating of 46g/km annual road tax is just €170. The Outlander PHEV is available with the following 191 special offers, €1,000 worth of accessories, when ordered by December 31, a €500 Dunnes Stores shopping voucher when ordered by December 17 and a low rate 1.9 percent APR HP finance, from €505 per month. 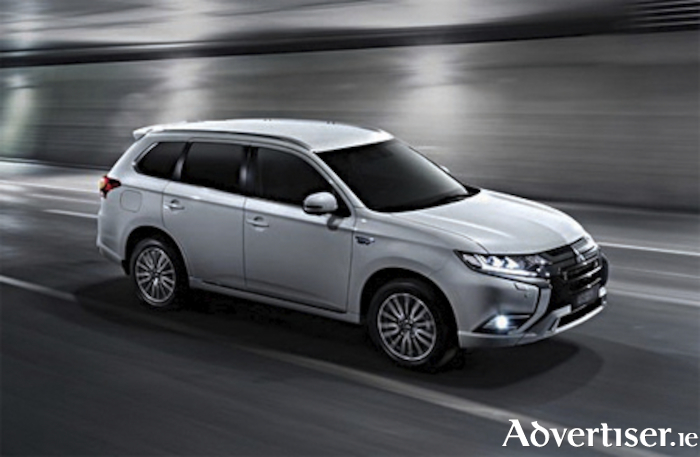 The offers also includes the new Outlander Black Line 7 seater models, which are now available in 2.2DI-D 4WD ‘Instyle’, manual and automatic. The new Outlander Black Line includes sunroof, new black alloys and new styling elements, with prices starting from €41,100. Outlander Instyle and Black Line models are also equipped with keyless operation system, leather seats, Smartphone Link Display Audio with Apple CarPlay and AndroidAuto, reversing camera and parking sensors all as standard. All five and seven seat Outlander models and Outlander Black Line, now come with low rate 1.9 percent APR HP finance, from €412 per month and a €500 Dunnes Stores shopping voucher when ordered by December 17. Next up is their Eclipse Cross, which it describes as the stylish and dynamic new family SUV. It says that it is packed with top features including Smartphone Link Display Audio System with a 7” touchscreen featuring Apple CarPlay and Android Auto, touchpad controller, head up display, keyless operation system, electric parking brake with brake auto hold, panoramic sunroof, heated front seats and rear view camera and parking sensors. Eclipse Cross special offers for 191 include low rate 1.9 percent APR HP finance available for Eclipse Cross ‘Invite’, ‘Intense’ and ‘Instyle’ models, available from €353 per month, and a €500 Dunnes Stores shopping voucher when ordered by December 17. Finally, in the line-up of SUV model offers from Mitsubishi is their ASX 1.6L 2WD ‘Intense’ models available from €24,750 and it says that are packed full of equipment including Smartphone Link Display Audio System featuring Apple CarPlay and Android Auto, rearview camera and parking sensors, cruise control and Bluetooth, 18” alloys and LED daytime running lights all as standard. Their ASX special offers for 191 include lower rate 3.9 percent APR PCP finance ASX models, available from €283 per month and a €500 Dunnes Stores shopping voucher when ordered by December 17.